Comment: May show signs of light wear, scuffs, bends. Pages are unmarked. May contain an inscription on cover page/inside cover. Ships media mail which may take 3 weeks. Are you and your family prepared for the greatest economic collapse that America has ever seen? Economic expert Michael Snyder of The Economic Collapse Blog and Barbara Fix, author of Survival: Prepare Before Disaster Strikes, address the whys and the hows of getting prepared for the coming crisis in their new book. Topics include looming economic collapse, Ebola, drought and increasing weather-related disasters, our extremely vulnerable power grid, civil unrest, and practical steps for storing food and supplies that you will need. Get Prepared Now! walks readers through survival in a short-term or protracted crisis whether in the city or the country with budget friendly advice: * Securing, storing and purifying water * Grid-down cooking, heating, lighting and sanitation * Food storage how-to's, including food storage suggestions your family will love * Gardening during a long-term crisis and grid-down food preservation * What critical supplies you will need during a major disruption of public services * Emergency first aid supplies and how to prepare for a widespread pandemic * Emergency 72-hour kits, caching supplies and setting up decoys * Hardening the home to safely shelter in place * Bartering skill-sets and goods * Bugging out & relocation Preparedness is multi-faceted and is best accomplished with a clear purpose in mind. Michael Snyder offers sound economic reasons to prepare while addressing the struggles that many Christians face regarding preparedness. His advice will comfort and uplift the reader, offering peace of mind that preparedness brings during uncertain times. Barbara Fix shares how she was able to provide food storage, medical supplies, and grid-down survival goods for one year for 23 people on a budget. Her story and advice will inspire the reader with unique workarounds that are centered on common-sense principles that have withstood the test of time. 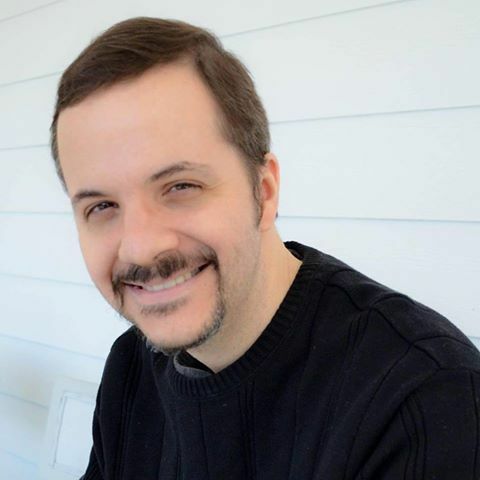 About The Authors Author Michael T Snyder Michael T. Snyder is a graduate of the University of Florida law school and he worked as an attorney in the heart of Washington D.C. for a number of years. Today, Michael is best known for his work as the publisher of The Economic Collapse Blog (http://theeconomiccollapseblog.com/). Michael and his wife, Meranda, believe that a great awakening is coming and are working hard to help bring renewal to America. 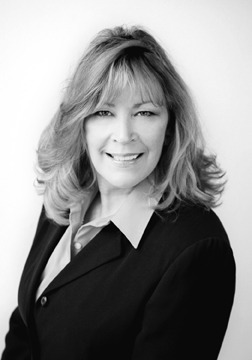 Author Barbara Fix Barbara Fix is the author of Survival: Prepare Before Disaster Strikes and hundreds of preparedness-related articles under the pen name Survival Diva. You are invited to visit Barbara's blog, http://prepperslifeline.com/ for current news impacting preparedness and common sense, budget-friendly tips designed to get you prepared without breaking the bank. Start reading Get Prepared Now! on your Kindle in under a minute. 5.0 out of 5 starsA "Prepper" book that actually has something new! One of the best I've read. This is one of the best thought out and put together books on why and how to prepare that I have seen, and I've read a LOT of books. I was hesitant to purchase this one (since I have read so many) because it seems, in the preparedness realm, there is nothing new under the sun. I'm happy to say that this book broke that mold. Having been taking measures to look after my family and be as self sustainable as possible for several years now, I DID find new and helpful information in this book as well as some considerations I had not thought of. Excellent resource. I am seriously considering purchasing a second copy for my parents. **I want to add, the book is broken up into two parts, but one volume. This is confusing when you look at the first table of contents and realize it only goes halfway through the book. After that, you find the second table of contents in the middle of the book and have an "AHA" moment and from there your thinking becomes "Wow, This was money well spent!". The first part of the book goes over all of the reasons why we should prepare and really helps inform you in a detailed (not not overwhelmingly detailed) manner to be able to state your case and have confidence in what you are doing. The second half is your huge resource of how to prepare, what to purchase, where to get it, why you need it, etc. The list of items for barter made far more sense than any list I've seen to date. All in all, this is truly the best thought out book I've seen. Really enjoyed this book. Well written, with the first half focusing on some of the potential causes of America's (or the world's) next crisis. The second half provides practical prepping "how to's". There is a great summary at the back for things to "hoard" and barter. This is the kind of book that you can read a chapter or two, try to incorporate what the author is saying, and then come back again to learn more. I'm not a big prepper, but the more time goes on the more I do believe something big will happend (most likely either a financial meltdown due to our debt, or an EMP). Note: The author is a Christian and isn't apologetic; he makes the comparison between our times and the time of Noah and the arc. Like the title, love the book! I've been reading Michael Snyder's blog, The Economic Collapse, for years and I'm so grateful to him for all the work he's done to educate millions of us around the world. The global economy could unravel over the next few years and many people are going to be in a state of shock because they never believed the warnings. Update: August 4, 2015 - Just finished reading Barbara Fix's section. I've been daunted by preparedness books before, but she really makes it simple. Thank you Barbara! A great book focused on preparing for disasters, both natural and man-made. Be wise, be prepared. Disasters happen all the time, we can see it on the news every night, so don't think it can't happen to you, it can. With some simple, common sense preparations, you can protect your family for an extended time until, hopefully, things get back to normal, or not. 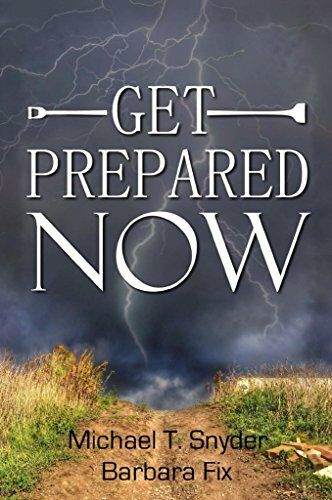 You'll have to decide exactly how far you take your preparations, but this book is a great overview of all the possible scenarios and the supplies and preparations you'll need to weather the storm, be it a hurricane, a pandemic or an economic collapse. Having said that, the author holds some notoriously biased and outrageous far right-wing views on everything from the economy to politics to religion, so be advised. But if you can get past that and take this book for what it's worth, I think you'll find some great information and help concerning emergency preparedness. 4.0 out of 5 starsRead this book! Time for the body of Christ to open our eyes to what is coming soon. God gives us all the details and he says, "so these things will not come upon you unaware". God's word tells us to prepare because when christians who think we will be raptured out before the tribulation realize we will be here, and persecution will be upon on us, we who believe will be ready to bring in the fold for the great evangelization that will take place during this period. Easy to read. Michael has a great way of encouraging others to get started prepping. I don't usually purchase prepared meals in a can, but I have started on my two week supply in case of an emergency. I've purchased a book for each one of my adult children, plus the book One Second After. 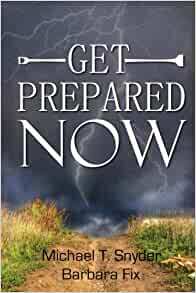 I feel like buying my neighbors the "Get Prepared Now" book as a gift. It would also make a great Christmas gift for anyone. I saw this book mentioned on YouTube and thought it looked interesting. I was not disappointed. It presented the history of why the U.S. is now facing an economic crisis and steps that can be taken to prepare. The book was written by two knowledgeable authors and the info very useful. Excellent book for those who are awake and intelligent enough to know that it is imperative that we PREPARE NOW.